In 1963, 250,000 students boycotted the Chicago Public Schools to protest racial segregation. ’63 Boycott connects the forgotten story of one of the largest Northern civil rights demonstrations to contemporary issues around race, education, and youth activism. The same number of people who showed up for the March on Washington just two months earlier, showed up for the 1963 boycott. 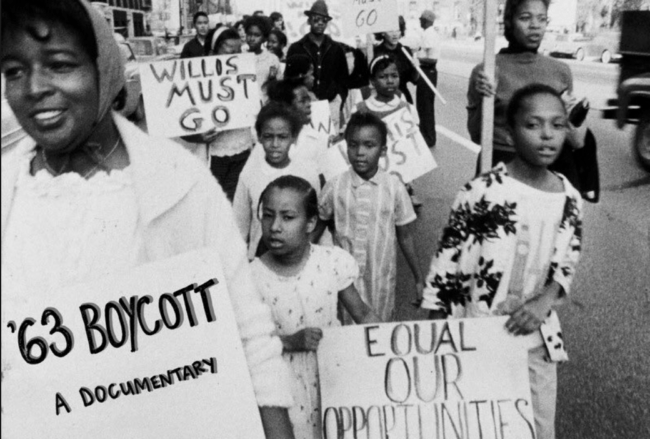 Directed by MacArthur award winner Gordon Quinn and distributed by Kartequim films, ’63 Boycott’ explores the lost story of a community that fought back against racial segregation and discrimination. Join GPB (PBS) for an online screening and filmmaker discussion Tuesday, February 26 at 8 p.m. on GPB.org. To RSVP for the online screening, click here.